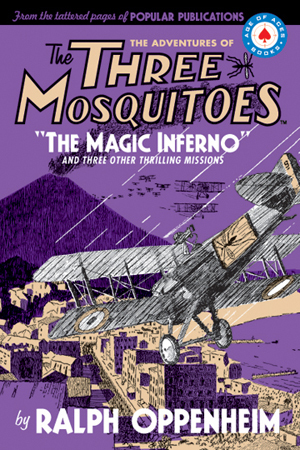 Once again join us on a journey back to an “Age of Aces” as “Battling” Mord Grogan burns through the tortured skies of pre-WWII China. 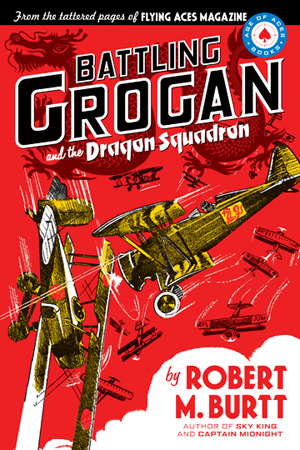 Grogan, an American pilot, commands the all-Chinese “Dragon Squadron” in their battle against the invading Japanese along with his three valiant flight commanders: Monty St. John, the lanky Limey; slender Hank Goyen, the dapper Frog; and last but not least, the imperturbable Ah Im, Grogan’s boyhood chum of old Nanking days, now premier olive-toned ace of the Dragon clan. 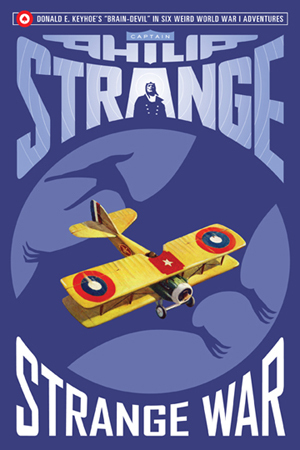 Never before has the struggle been so fierce or the danger of Oriental treachery so great! 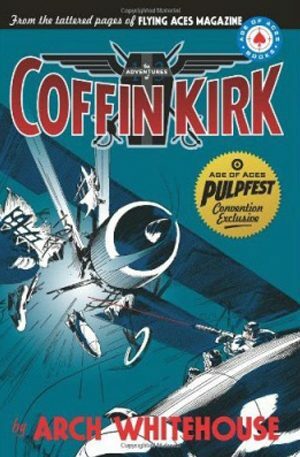 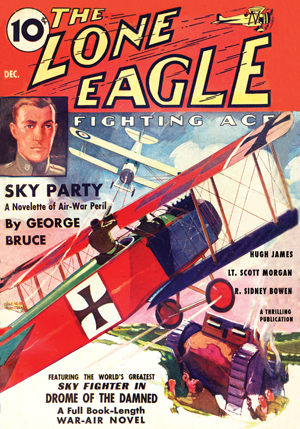 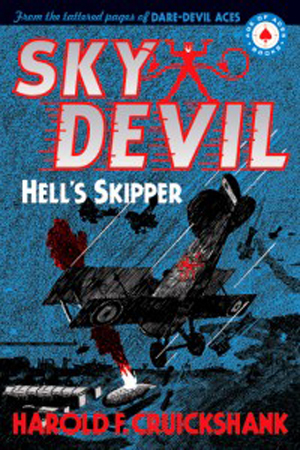 WWI pilot Robert M. Burtt wrote the fourteen Battling Grogan stories in the early 1930’s for Flying Aces Magazine before becoming well known as the co-creator and writer of aviation-themed radio serials like The Air Adventures of Jimmy Allen, Captain Midnight, Hop Harrigan and Sky King.